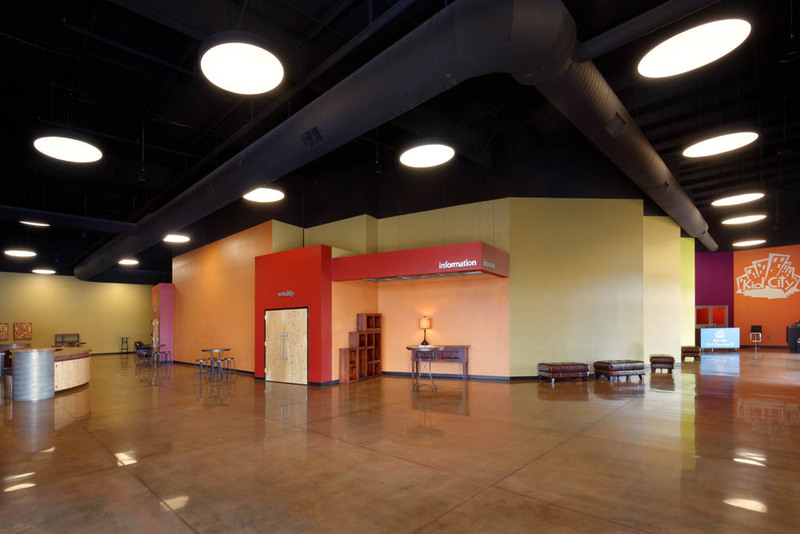 The old hardware and lumber yard building at 2535 Grand St. has been renovated and given new life as the Carthage campus for Forest Park Baptist Church. 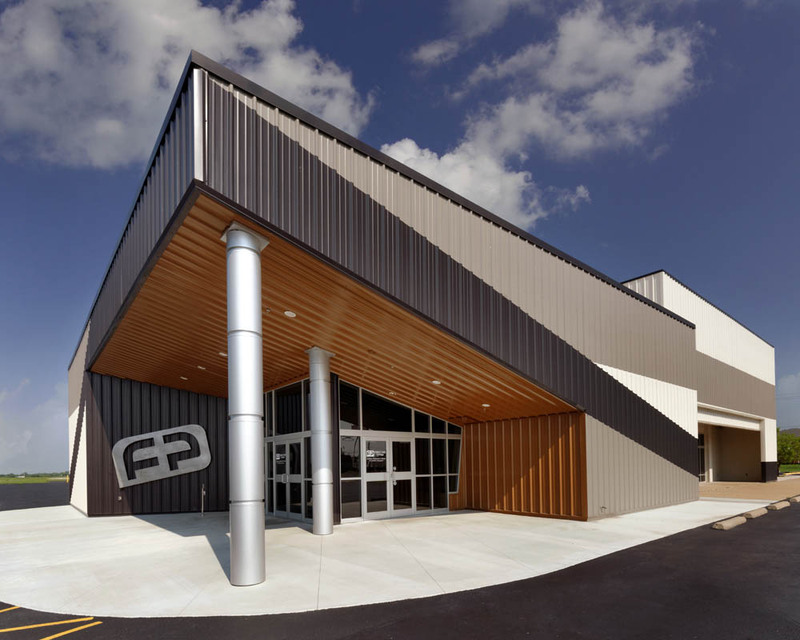 Approximately half of the existing 45,000 sf was completely renovated along with a couple of small building additions and the creation of a new main entrance and exterior make-over. 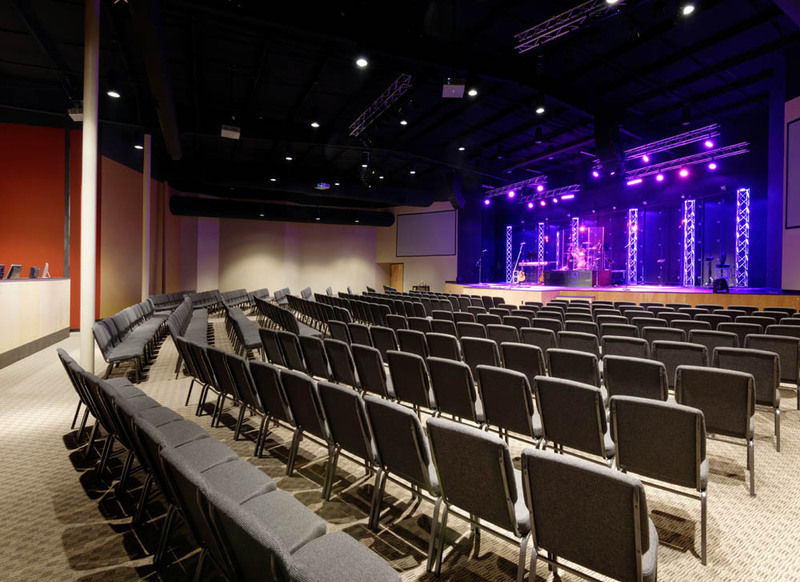 At the heart of the interior renovation is a new Worship space which has flexible seating for 470 and a raised platform front and center. 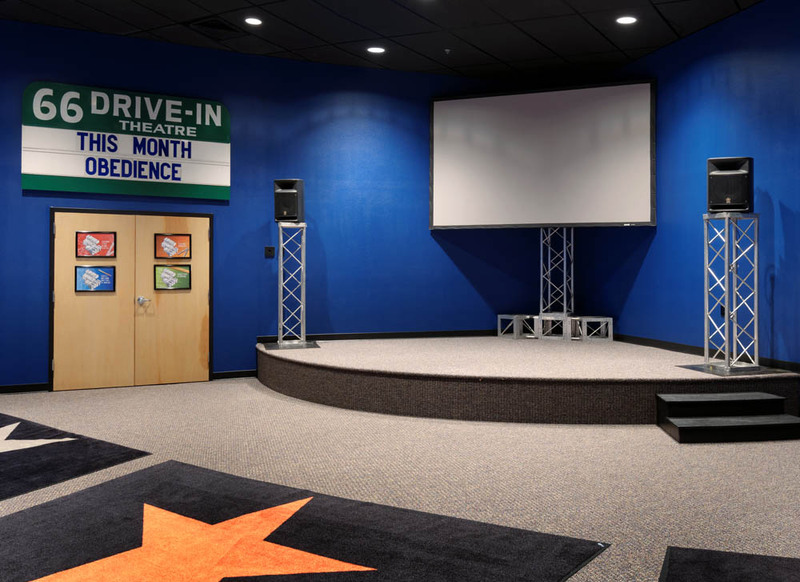 Spaces are planned for Youth activities and a Children’s area (“Kid’s City”) will also provide a safe and fun zone, complete with a variety of classroom spaces and a Kid’s Cinema space which accommodates 100 children. 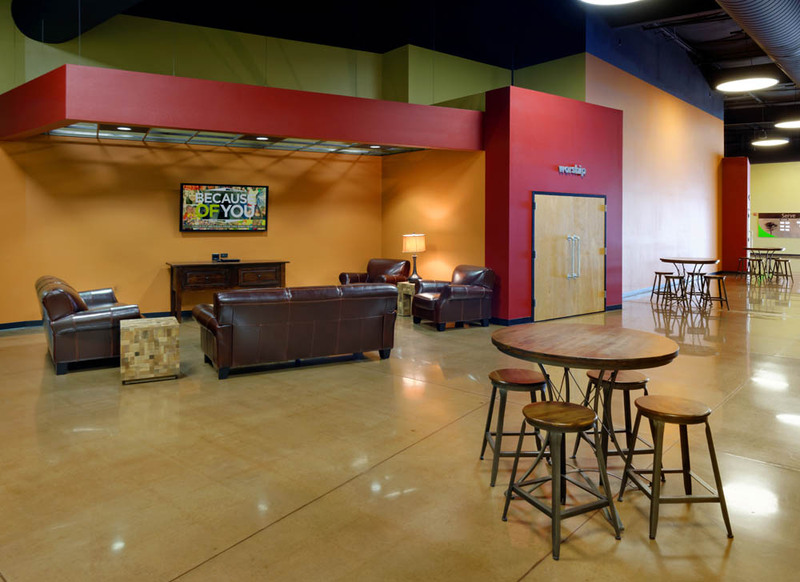 Youth, Children and Worship spaces are connected along a linear lobby or concourse which will also feature a Café’ space serving up your favorite cup of java or tasty treats, this space is also be dotted with comfy seating and places for fellowship.